Gregory Kucera, PhD, investigates lipid metabolism in cancers which he uses to develop novel therapeutics for the treatment of cancers, including acute leukemia, lung cancer and breast cancer. He collaborates with industry partners to assess and advance anticancer and antiviral therapeutics. Gregory Kucera, PhD, earned his doctorate in biochemistry from Wake Forest University in 1987. He studied lipid metabolism, particularly the molecular mechanisms of action of phospholipases. He completed a postdoctoral fellowship at the University of Vermont, during which he researched the signaling pathways of phospholipase regulation in platelets, before being recruited back to Wake Forest School of Medicine in 1990. At the School of Medicine, Kucera studied lipid metabolism in cancers, in addition to collaborating with his father, Louis Kucera, PhD, a virologist, on antiviral compounds. His work expanded to include conjugating anticancer drugs to phospholipid molecules to improve their efficacy. Kucera developed KPC34, a therapeutic that may improve the treatment of acute leukemia, and collaborates with Timothy Pardee, PhD, MD, associate professor of hematology and oncology at Wake Forest School of Medicine, to test the drug in mouse models of leukemia. Kucera also develops other novel therapeutics to treat cancers. He collaborates with Ulrich Bierbach, PhD, professor of chemistry at Wake Forest, to test various platinum-containing compounds in vitro against cell lines to determine their efficacy in treating lung and breast cancer. 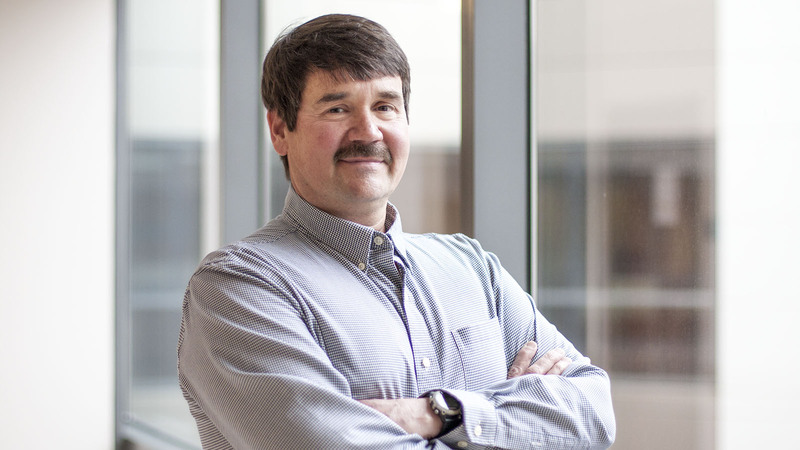 As associate director of the Tumor Tissue Core Laboratory, Kucera functions as the basic science liaison of the multifaceted core laboratory funded by the National Cancer Institute. He assists investigators with research that uses the core’s 35,000 tissues samples by determining the needs of individual studies and helping researchers navigate Institutional Review Board approval. Kucera pursues research that develops treatments for unmet medical needs. He persevered in his research of KPC34 because acute leukemia is one of those unmet needs. He believes that the therapeutics he helps develop may improve patient outcomes by lengthening lifespans, improving quality of life or possibly curing various cancers. In his research, Kucera collaborates with pharmaceutical companies in the assessment of antiviral therapeutics. In 2001, he helped co-found Kucera Pharmaceutical Company, a Wake Forest Baptist start-up company incorporated to develop antiviral and anticancer therapeutics. From these experiences, he believes that partnering with industry is essential to developing therapeutics that can change the lives of patients suffering from leukemia and other cancers.